The Theatre District Residence by Plaza is a new mixed-use condominium development currently in pre-construction at 8 Widmer Street in Toronto, Ontario. It is a proposed 48 & 50 storey residential tower with 728 dwelling units. Unit sizes range from 380 square feet to 1000 square feet. "Since 1982, the Plaza philosophy of providing a uniformly high level of standard quality in every condominium Plaza builds has made our name synonymous with lasting value. Building in more quality from the beginning is a hallmark of every Plaza community, which has resulted in condominium suites that have greater market value today, and have lasting value for tomorrow. " 50 at Wellesley Station - A condominium in pre-construction in Toronto with 365 units. 1 Yorkville - A New luxury condominium in pre-construction in Yorkville Toronto with 577 units. King West - Condominiums in Liberty Village Toronto currently selling with 880 units. Musée - A condominium/townhouse currently under construction in Toronto with 440 units. The Regency - A condominium at 68 Yorkville Avenue completed in 2008 with 58 units. University Plaza - A condominium at 140 Simcoe Street completed in 2005 with 320 units. West Harbour City Phase 1 & 2 - Condominiums at 620 Fleet Street competed in 2010 & 2011 with 325 & 510 units. Wellington on the Park - A condominium at 720 Wellington Street West completed in 2007 with 142 units. Of course there's this project: The Theatre District Residence in pre-construction at Adelaide and Widmer in Toronto with 728 units! 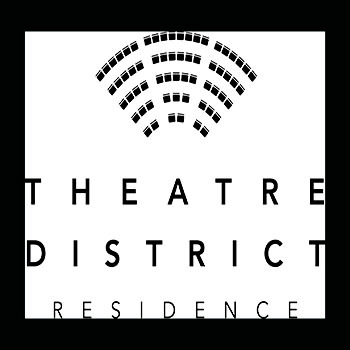 Register today for more information on The Theatre District Residence by Plaza! Register today for your VIP Access to Theatre District Condos!